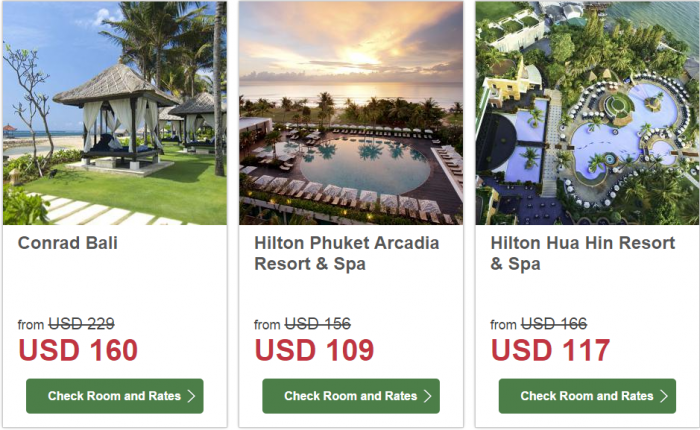 Hilton HHonors has extended the booking deadline of the Dream Resorts Asia at 30% off sale. The offer is valid for stays until December 31, 2015, but must be booked now by April 30. I have stayed at five of these 11 Dream Resorts that Hilton promotions in Asia. 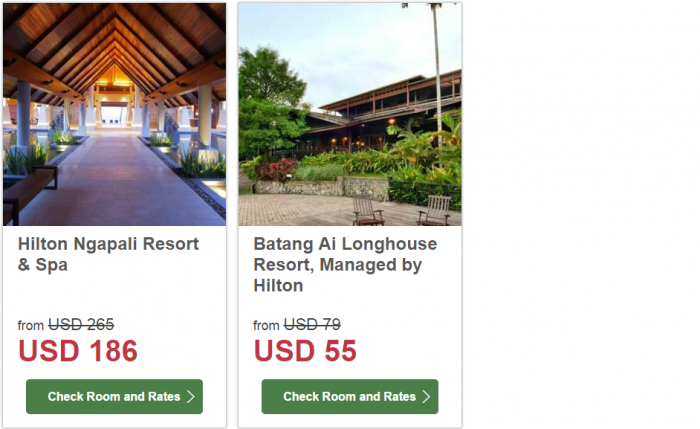 The Longhouse Resort in Malaysia looks very interesting and I have always wanted to stay there. 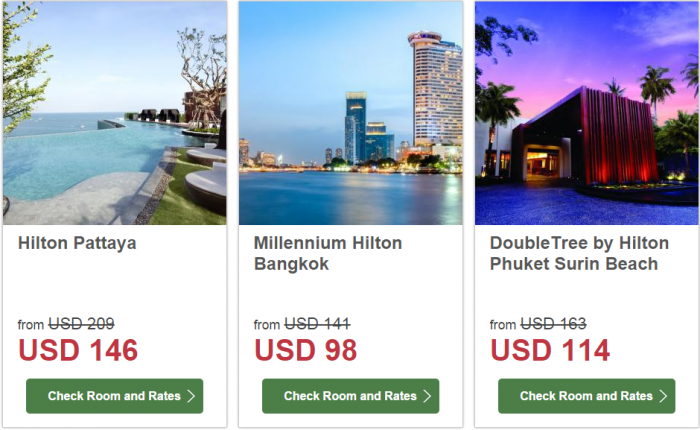 Offer valid for stays booked between 9 February, 2015 and 30 April, 2015 and completed at a participating hotel within the Hilton Worldwide portfolio in Southeast Asia between 11 March, 2015 and 31 December, 2015. Offer subject to availability. Non-refundable prepayment of 30% deposit is required at time of booking. Your credit card will be charged immediately for 30% of the total amount quoted for the entire stay as reserved and refunds or credits will not be issued. Charges cannot be applied to other stays, services or merchandise. Booking cannot be changed. Must book at least thirty (30) days in advance of arrival, except where noted. Discount is 30% off Bed and Breakfast Rate. Rates are exclusive of all taxes, incidental charges, gratuities, and resort fees where applicable. Blackout dates may apply and vary by property. This offer is not applicable to existing reservations or group bookings and may not be combined with other select promotions, discounts or offers.